• Review all objectives and books covered in the past weeks, and complete any activities that you were unable to finish. 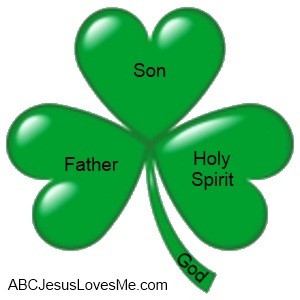 To finish the Trinity unit, place a dot of white, yellow, and blue fingerpaint on each leaf of the shamrock. Mix the colors together to make light green; three colors to form one color. Review who God the Father, God the Son, and God the Holy Spirit is – three distinct persons yet 1 God. Thanks to Heather for this idea. • Create a handprint and footprint. Keep it to compare with one that you will create at the end of the curriculum as well. 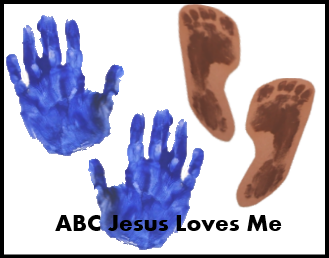 You may want to begin the Handprint and Footprint Calendar for a great Christmas gift. Draw 3/4 of a shape on a piece of paper. Have the child finish the shape. 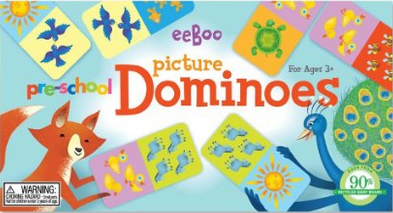 If the child is not ready for number dominoes, there are several picture domino options available. 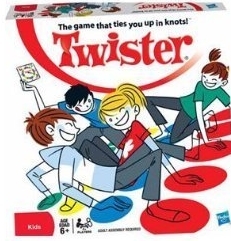 While playing the actual rules of the Twister are probably too difficult for this age level, take turns calling out colors and body parts to match. Block-to-Block Direct Matching is another concept that I learned through visual therapy. 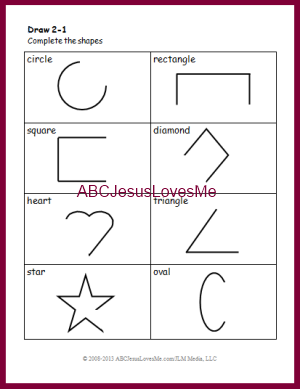 There are so many wonderful developmental points to this activity that I added it to the 4 Year Curriculum. Plus, it is fun! Exact directions and steps are given on the Block-to-Block Matching page on this website. Items Needed for Block-to-Block Direct Matching: A set of blocks that has duplicates in shape and color (Parquetry Block Super Set, Pattern Blocks and Boards, or Pattern Blocks) and plastic acetate or plexiglass sheets (hard clear plastic) or any transparent product that is strong enough to carry blocks.